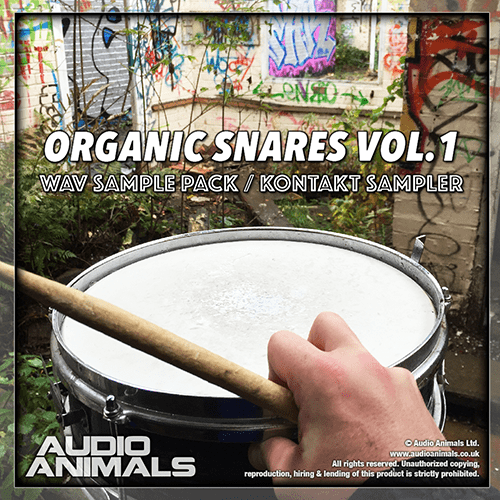 Organic Snares Vol.1 is a collection of 2040 live snare hit samples recorded within a studio environment. All samples are recorded in 24bit/44,100kHz wav. Within the download is a custom kontakt sampler that includes, ADSR, stereo widener, lowpass filter, highpass filter, 2 band EQ, 4 band master EQ, master bus compressor and convolution reverb.